Vicki Edouard the the Senior Programs Coordinator for MCSHE. Vicki is responsible for the project management of consultancy initiatives (e.g. Department of Health and Human Services), liaising with the faculty finance team on departmental budgeting, liaising with faculty student services staff on award course-related activities including processes and procedures, and managing all post-graduate student-related functions for the award courses currently being taught out. Before joining Monash University Vicki was the Supervising Scientist in the Clinical Research Laboratory at the Burnet Institute. She has over 12 years’ experience in the area of HIV and has performed overseas educational training programs covering HIV monitoring and treatment. Following an interest in education Vicki completed a Graduate Diploma of Education in 2003. Tammie is a postdoctoral research assistant at the MCSHE and a researcher at Department of Nutrition, Dietetics and Food. She is an Accredited Practising Dietitian and a researcher with strong interest and passion in cross-cultural studies. 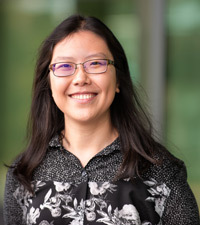 Tammie completed her PhD in 2017, exploring an alternative diabetes education paradigm with cultural tailoring strategies for Chinese Australians with type 2 diabetes. She has since piloted those cultural tailoring strategies with patients as well as applying them on a mentoring group model for international students in the Nutrition program. She continues to work in diabetes research and education research. Katrina has been part of MCSHE since February 2018 providing executive administrative support to Professor Charlotte Rees and the MCSHE and MBBS teams. Katrina is involved in coordinating the team’s activities including a range of major meetings and events. 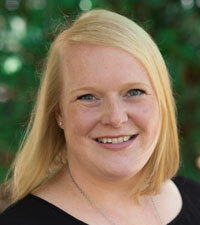 Previously Katrina was a member of FAST (Flexible Administration Services Team) at Monash University. 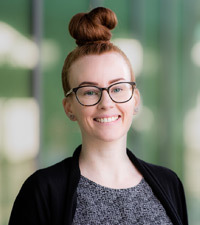 Eve joined Monash Centre for Scholarship in Health Education (MCSHE) in October 2018 as a research fellow. 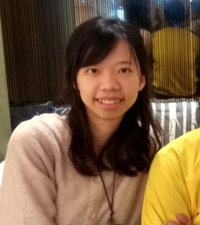 Previously she was working at Chang Gung Medical Education Research Centre (CG-MERC), Taiwan from 2016 to 2018 as a translator and interpreter, during which she has developed her understanding and interest in healthcare education. Her background is English Literature and currently is working on the projects of clinical supervision using realist methodology. 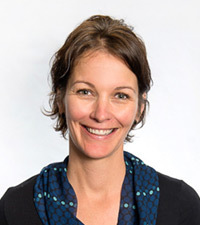 Claire is the Deputy Director of MCSHE and an Accredited Practicing Dietitian (APD) and Associate Professor in the Department of Nutrition and Dietetics with research interests in the education of the future workforce and strategies to improve access to nutritious food. Claire is an active member of the profession of dietetics having served on the board of directors from 2007 to 2011 and is an ongoing Member of Dietitians Association Australia (DAA) and Public Health Association of Australia (PHAA). She was awarded a Dietitians Association of Australia National Outstanding Contribution Award (2007) and Monash University FMNHS Deans Award for Excellence in Teaching (2009) and was the first dietitian and member of Monash University FMNHS to be awarded a national Office for Learning and Teaching fellowship. This work has aimed to transform approaches to competency-based assessment in dietetics through a national Community of Practice for dietetics educators and applying a systems thinking lens to competency-based assessment in the Dietetics program at Monash. 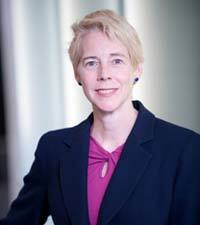 Charlotte is currently Professor and Director of Curriculum (Medicine) and the inagural Director of MCSHE. Prior to that, she was Professor of Education Research and Director of the Centre for Medical Education at the University of Dundee, Scotland (2010-2015) and was the Founding Director of the Scottish Medical Education Research Consortium (SMERC: 2011-2015). She was previously Associate Professor of Medical Education at Sydney Medical School (2007-2010), and Senior Lecturer and Lecturer of Clinical Education at the newly created Peninsula Medical School at the University of Exeter (2002-2007). At Peninsula, she was the Founding Academic Lead for Human Sciences, Communication Skills and Professionalism for the new MBBS curriculum. She is a Fellow of the UK Higher Education Academy, and Fellow of the Royal College of Physicians in Edinburgh. She has over 15 years’ experience as a health professions education researcher including extensive experience as principal and co-investigator for numerous externally funded projects (e.g. NHS Education for Scotland, General Medical Council, Higher Education Academy, Academy of Medical Royal Colleges). She has led a 10-year programme of research on healthcare professionalism and her co-authored book, titled ‘Healthcare professionalism: Improving practice through reflections on workplace dilemmas, was published by Wiley-Blackwell in April 2017. She has over 100 peer-reviewed journal articles, book chapters and books, over 100 conference presentations, and was 1 of 4 medical educators at Dundee returned for REF2014 (the UK equivalent of Australia’s ERA). She was Deputy Editor for Medical Education (2008-2016), is Associate Editor for Advances in Health Sciences Education (2014-2017) and was the only medical education researcher on the REF2014 sub-panel for education. She has supervised over 20 research students (Honours, Masters and PhD) to timely completion. Mahbub is a lecturer of educational research at the Monash Centre for Scholarship in Health Education (MCSHE). As a core member of MCSHE, his mission is to improve the quality of health profession education through scholarship. Prior to that, he pursued his post-doctoral research in the Faculty of Science at Monash and School of Education at Deakin University. Mahbub completed his PhD in Science Education from the Faculty of Education at Monash University in 2012. He has experience in both quantitative and qualitative research methods, as well as research design and project management of large studies. He has researched a range of STEM education issues from early years to undergraduate levels that include improving the quality of science curricula and teaching to increase student engagement, understanding the development of scientific and environmental literacy with students, and promoting undergraduate science students’ employability skills. His current research interests include improving preparedness for practice and employability for the students of health professions and sciences. Prior to moving to Australia in 2008, Mahbub was a lecturer at Northern University and an educational researcher at BRAC University in Bangladesh. He holds a Master of Education and a Bachelor of Education (Honours)—both were completed in the Institute of Education and Research at the University of Dhaka, Bangladesh. Karen is the Director of the Gukwonderuk Indigenous Unit in the Faculty of Medicine, Nursing and Health Science. She has over 25 years’ experience working in Indigenous health as a health practitioner, researcher and educator. 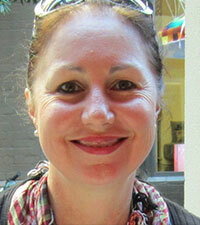 Gabrielle Brand is an Associate Professor (Education Focused) at Monash Nursing & Midwifery. She is a passionate teacher and qualitative researcher with a special interest in narrative medicine, primary health care, community and social health care delivery, interprofessional and reflective learning. 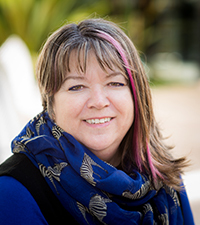 She has also led the research, co-design and development of a series of consumer driven, reflective learning resources titled ‘Depth of Field’ © which are currently being used to promote person centred models of care in health professions education across Australia and New Zealand. This work culminated in being awarded the 2017 ANZAHPE Prize for Excellence in innovative and research informed Health Professional Education. Gabrielle has published and presented her research in Australia and internationally in the area of health professions education and community health policy and practice. Tina is Professor of Pharmacy Education and Practice in the FPPS at Monash University where she is part of the leadership team for an innovative integrated Masters course in pharmacy. 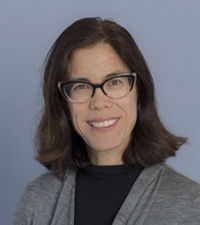 She has previously served as the Associate Dean for Global Health and Educational Innovations at the University of California, San Francisco School of Pharmacy; the Director of Capacity Building and Performance Improvement at Management Sciences for Health; the Course Director for the MSc in Pharmacy Practice and Policy at University College London; and the Director of Student Services at the University of North Carolina at Chapel Hill Eshelman School of Pharmacy. Tina’s key areas of expertise are curricular design, technology-enhanced learning strategies, leadership development, and interprofessional educational models. Ted is the Undergraduate Course Coordinator at the Department of Occupational Therapy, School of Primary and Allied Health Care based at the Peninsula Campus. He is an experienced educator, researcher and clinician in OT. Basia is a Senior Lecturer and is the Head of Undergraduate degrees at the School of Public Health and Preventive Medicine. She is the co-head (Innovation and Quality) for the Medical Education Research and Quality (MERQ) unit. She joined the School of Public Health and Preventive Medicine (SPHPM) in 2006. Basia has experience in both quantitative and qualitative research methods, as well as research design and project management of large studies. She was awarded her PhD in 2013 for her work on an NHMRC funded study: a case-control study investigating the factors contributing to bleeding risk in patients receiving warfarin therapy in the community. Basia has a particular interest in medication safety through the identification of adverse events both at an individual and system level. Basia is the recipient of the 2016 Monash Teacher Accelerator Award, 2015 Vice-Chancellor's Award for Teaching Excellence and 2015 Monash Education Academy Fellowship. 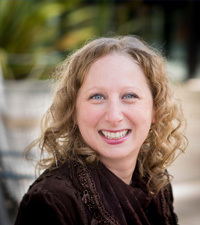 In addition, to this Basia has received recognition for her excellence in teaching with a national commendation by the Council of Academic Public Health Institutes Australia for Public Health Teaching Excellence and Innovation in 2014, the 2013 SPHPM Teaching Excellence Award and 2012 SPHPM Tutoring Excellence Award. 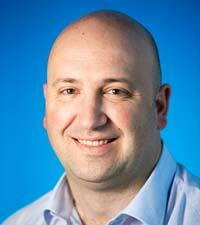 Miodrag is currently Director of Year 4C for the Monash Medicine program, based at the Peninsula Clinical School. He is also Director of Research at the Peninsula Clinical School. His key research interest currently is interprofessional education. Sharon is a Senior Lecturer in the School of Biomedical Science at Monash University. Having completed her PhD (Physiology), she later explored her keen interest in education by embarking on a Diploma of Education (Secondary). The combination of Sharon’s research background and studies in teaching and learning has placed her well to develop strong teaching programs, both at tertiary level as well as via her outreach efforts in primary and secondary schools. Sharon is the Director of the Bioscience Outreach Education Team which developed and runs the award winning science outreach program, BioEYES Australia. Sharon is also the Director of the Bioscience Education Team in Allied Health, a group focused on delivering human bioscience units in allied health degrees. In addition, Sharon is known for her active classrooms which focus on hands-on, student-centred and collaborative learning, made possible when Sharon and colleagues flipped their curriculum. Sharon is the recipient of the Monash University FMNHS Deans Award for Excellence in Teaching (2013), the Monash Education Academy (MEA) Fellowship (2017) and a MEA Interfaculty Transformation Grant, focused on assisting Monash educators as they transform their teaching to more active approaches. In addition to this, Sharon developed and runs the CEED module “Flipping your classroom to maximise the student experience”. Averil has a Master of Cross-cultural Communication from the University of Sydney and a PhD in Applied Linguistics from the University of Melbourne. Her PhD focused on the complex relationships between identity, language acquisition and integration for non-native speakers of English residing in Australia. She coordinated units in the teaching and learning of languages at the University of Melbourne for many years before taking up a position as lecturer in the FMNHS Student Academic Support Unit (SASU) at Monash University. In this position she provides linguistic, cultural and academic support for international students and their supervisors on clinical placement. Her current research interests are developing both pre-placement preparation workshops for culturally and linguistically diverse (CALD) students as well as specialised training for supervisors of CALD students. Before moving into academia, Averil was a freelance editor and writer of English language textbooks for German high schools. As board member of the Deutsche Schule Melbourne, Averil was also the linguist responsible for establishing a highly-successful bilingual primary school programme and continues to consult on issues pertaining to bilingualism and bilingual education. 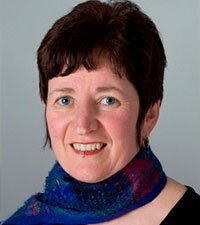 Helen is a Senior Lecturer and registered nurse and midwife. 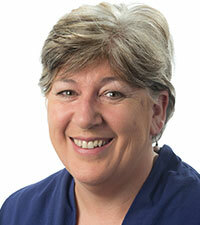 She has research and clinical experience in nursing and midwifery spanning 30 years. Helen gained a PhD from Monash University and holds a research fellowship with the Australian Research Centre in Complementary and Integrative Medicine (ARCCIM). 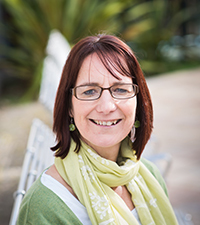 Helen’s educational research interests focus on midwifery and nursing training, with an emphasis on the use of interprofessional education and simulation strategies. 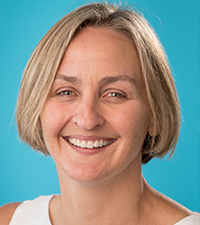 Claire leads the General Practice teaching program in the Monash medical program, chairs the Year 4C Assessment Working Group and is the Monash representative on the national assessment collaboration: ACCLAiM (Australian Collaboration for Clinical Assessment in Medicine). This is in addition to her work as a General Practitioner and student in the Master in Forensic Medicine. 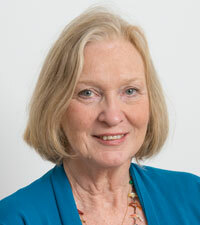 She has received multiple teaching awards, including the Health Excellence Award (excellence in curricular design and assessment – Griffith University), Dean's Award for Excellence in Teaching (Monash University),Teacher Innovation and Impact award (Monash University) and recognition of Excellence and Innovation in General Practice Teaching and Assessment (Monash University). 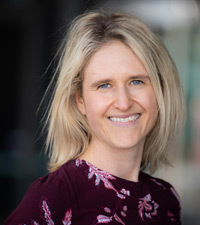 Claire is leading the Australasian pilot of the Prescribing Skills Assessment (online teaching and assessment tool in medication safety), with projected participation of 13 schools across Australia, Malaysia and New Zealand in 2019. Claire also leads MEyeNET (online resource in ENT and ophthalmology) and is a member of the Medical Faculty for MedSkl (international collaboration creating peer-reviewed, free and open access medical educational materials). Dragan is the Director of Teaching & Learning at SPHPM. Dragan is course convenor for the Master of Public Health (online), Bachelor of Health Sciences and Bachelor of Public Health Science degrees. Dragan also coordinates the Evidence Based Clinical Practice (EBCP) curriculum for the Monash Medical Program. He is a member of the executive committee for the Society for Cost and Value in Health Professions Education, and Chair of the Curriculum Committee for the International Society for Evidence-Based Health Care. 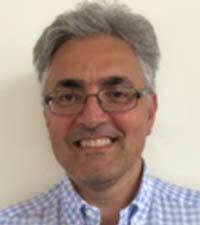 Dragan has a keen research interest in medical and health professions education. Research interests include cost and value in health professions education, evaluation of novel teaching approaches, assessment and psychometrics. Dragan also maintains his clinical research interest in prostate cancer, and is an editor with the Cochrane Collaboration’s Urology review group. 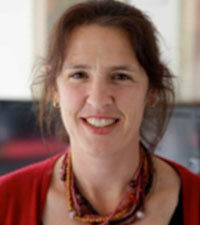 Fiona is a Senior Lecturer in the Faculty of Medicine, Nursing and Health Sciences, Monash University. She is also an APA neurological physiotherapist and has worked as a clinician at Peninsula Health and Monash Health and clinical educator in the Physiotherapy Department at Monash University. She completed her Masters in Health Professional Education in 2009 investigating patient perspectives of student led care and her PhD in 2016 investigating interprofessional education. She is currently the Collaborative Care Curriculum Lead in the Education portfolio of the Faculty. Arunaz received her MBBS and specialist qualification in Obstetrics and Gynaecology from New Delhi, India. Following that, she worked in the United Kingdom at University College Hospital, London and received her MRCOG qualification. She moved to Australia in 2005 and trained across numerous hospitals in Melbourne before receiving her FRANZCOG certification in 2009. Arunaz holds a Certificate in Health Professional Education from Monash University and is the Discipline Coordinator and Clinical Supervisor for Year 4 medical students undergoing the Women’s Health rotation in Monash University. Besides leading medical education in Obstetrics and Gynaecology, Arunaz has educational research interests working towards better outcomes for women by improving health professional learning and training. Dr Wee-Ming Lau graduated with a MD from National University Malaysia (UKM) followed by a Masters Degree in Internal Medicine from University Malaya in 1998. She received further training in both Respiratory and Sleep Medicine at the Department of Respiratory Medicine, Sir Charles Gairdner Hospital, and the Respiratory Sleep Disorders Clinic, Queen Elizabeth II Medical Centre respectively in Western Australia. She worked as an advanced trainee, and thereafter as a senior registrar at Sir Charles Gairdner Hospital. She obtained further post graduate qualifications in both Dermatology and Occupational Health. She is currently registered with the local National Specialist Register in both Internal Medicine and Respiratory Medicine. Since joining Monash University Malaysia (MUM) as a senior lecturer in 2008, Wee-Ming has advanced into the field of medical education (ME). She was awarded the Graduate Certificate in Higher Education (Monash) in 2010 and Essential Skills in Medical Education (AMEE) in 2011 (teaching), 2013 (leadership); followed by a Master in Higher Professional Education (Monash) in 2014. Inspired by Monash motto : Ancora Imparo”, she is currently enrolled in a higher degree in Medical Education. Her areas of research in ME are in Feedback, Clinical Skills, OSCE and Professionalism. She has won a number of Pro Vice Chancellor awards from MUM for her innovative approaches to teaching and learning. Wee-Ming is the lead in the early years Clinical Skills (teaching and assessment) and teaches Bioethics at the Malaysian campus. She was appointed the Deputy Head, Medical Education Unit (MEU) at MUM in late 2016 and has been the interim Head since August 2017. She is also the Malaysian affiliate with Monash Centre for Scholarship in Health Education (MCSHE). Michelle is an Associate Professor in the Department of Anatomy and Developmental Biology in the Centre for Human Anatomy Education at Monash University. She earned her PhD in 2007 from Thomas Jefferson University (Philadelphia, PA, USA) in the field of Pathology and Cell Biology. Michelle refocused her research towards educational scholarship, developing evidence based anatomy education. 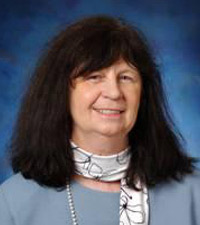 In addition to developing innovative anatomy curricula she investigates methods for improving retention and transfer of anatomy knowledge to clinical care, designing frameworks for vertical integration of anatomy curricula and improving integration of basic science teaching with fostering healthcare students’ professional development. She was awarded the prestigious Monash Education Academy Fellowship. She has a passion for Science Communication and works together with a team to develop a monthly podcast about medically interesting topics for community engagement available at www.AskAnatomist.com . In addition to her published works, she supervisors PhD, honours and medical students in education research projects. MBBS, FACEM, GCCS Emergency Physician, Acting Director Medical Student Programs, Eastern Health Clinical School since August 2018, Clinical Director Emergency Department Box Hill Hospital 21 years; EH Director of Emergency Services 2003-2009, ACEM roles: examination committees; College examiner since 2000, appointed as senior examiner 2010. Career interests include leadership development, teamwork, No Unnecessary Tests Program, quality & redesign, patient centred care, teaching including simulation based medical education. 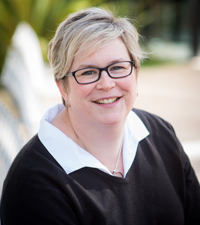 Jennifer Lindley is Senior Academic Lead (MBBS Curriculum) in the Faculty of Medicine, Nursing and Health Sciences at Monash University and provides academic leadership for curriculum development and evaluation for the medicine program at Monash. She has a background in medical science and education with particular expertise in course design, curriculum development and evaluation. In addition she has undertaken a number of innovative curriculum and education projects. Her recent projects include the curriculum renewal of the medicine program; curriculum mapping and assessment blueprinting; eLearning; and modernisation of the curriculum of the medicine course at University of Dammam in Saudi Arabia. 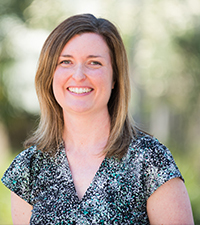 Jennifer has a Masters of Education and her research interests include work-based learning and assessment, graduate outcomes and work readiness. Her peer reviewed publications and conference presentations have contributed to the areas of online learning and education, assessment and academic performance. Jennifer is Co-chair of the Medicine Course Curriculum Committee and was Deputy Chair of the Faculty Curriculum Standing Committee as well as a member of the Faculty Assessment working group. Her professional memberships include the Higher Education Research and Development Association (HERDSA) and the Australian and New Zealand Association for Health Professional Educators (ANZAHPE). Stephen’s educational research has focused on technology-based innovations, the efficiency and effectiveness of teaching methods, and promoting early links between learners and industry. He uses a variety of research methods, including economic evaluations. Stephen enjoy a range of responsibilities within Monash that enables him to engage with and influence educational research, including roles as Director of Education for SPAHC, Deputy Head of Department for Physiotherapy, honorary position in the Monash Education Research and Quality (MERQ) unit, and founder and chair of the Society for Cost and Value in Health Professions Education. Stephen's contribution to advancing knowledge and debate in education has been acknowledged through local, national and international teaching and/or research awards. Jenepher graduated with an MBBS from the University of Melbourne) in 1982. She completed her general surgical training in 1991 and a Master of Surgery in 1997. After surgical training, Jenepher spent a year in Britain developing her surgical interest in breast surgery, then two and a half years in Toronto undertaking a Surgical Education Fellowship. Since her return from Toronto she has continued to have a major academic interest in medical education through formal appointments at the University of Melbourne, The Royal Australasian College of Surgeons and Monash University. 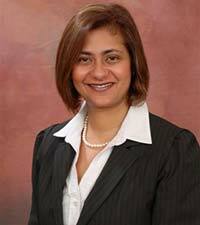 Her interests include assessment and measurement, faculty development and program evaluation. She graduated with a Doctor of Education in 2007. Jenepher is currently Director, Medical Student Programs, Monash University and Deakin University, Eastern Health Clinical School. 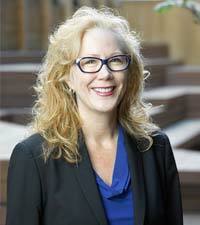 Dr Jennifer McConachy is the Course Coordinator for the Master of Social Work program. She completed her PhD in 2017 and developed a state government level policy focussed on the engagement of extended family in family support services, using the Delphi method. She is an experienced Social Worker whose area of practice expertise is kinship care and the engagement of extended family. She has worked in government and Community Service Organisation agencies and provided leadership in practice-based and practice-led research and evaluation. 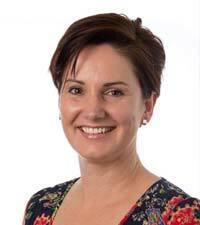 Julia joined Monash Nursing and Midwifery in 2010 following 15 years of emergency nursing experience. Julia is the Bachelor of Nursing (Honours) course convener, and the Director of Education for Nursing and Midwifery at Monash. Julia maintains her emergency nursing expertise, working as a Senior Research Fellow at Monash Health, and is the Administrative Director for the College of Emergency Nursing Australasia (CENA), and is the Victorian CENA Branch President. Julia leads two programs of research. The first is focused on health workforce, in particular, preparation for practice, simulation in teaching, transition to speciality practice, and management of occupational violence in healthcare. The second program is focused on the patient experience in the emergency department, in particular, patient flow models. She has had more than 25 research papers published and has supervised 11 students to completion of higher degrees. 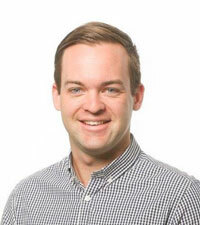 Matthew works in the School of Psychological Sciences, as Associate Professor and Director of Education. Responsible for the School’s education portfolio, he has overseen numerous education projects including on-campus blended-learning improvements and the creation of two fully-online professionally accredited courses. One of these courses, the Grad Dip Psych Advanced, offers a world-first fully online honours-equivalent psychology research project. Matthew’s education research interest centres around online pedagogy and leveraging these new skills and techniques to improve the on-campus experience. In his basic science research, Matt uses cognitive neuroscience techniques to investigate healthy learning and memory, as well as factors that contribute to amnesia and perceptual deficits, caused by brain trauma or disease. Sophie is an enthusiastic educator who blends her passion for quality education with clinical experience in musculoskeletal, cardiothoracic and women’s health physiotherapy. Sophie contributes to units throughout year 1-3 of the Monash physiotherapy program including coordinating the applied anatomy theme and Year 1 students. She also holds educational leadership roles within the department and contributes to educational committees at the School and Faculty levels. She has contributed to educational research projects investigating clinical skill development and efficiency of teaching methods. 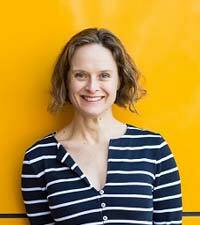 Sophie is currently completing a PhD in physiotherapy education. Louise has a background in child protection, having worked across a range of programs, including being the first court support worker in Victoria and a member of the first SIPW team. She has worked as a registered mental health practitioner with both adults and children, as well as running a social work recruitment company. Louise was originally employed at Monash as a member of the fieldwork team, then moved on to teach in a range of units, including human development, group work and the skill based units. After 8 years with the Department Louise left to undertake a Grad Dip in Education as a way of gaining further insight into the educational system. 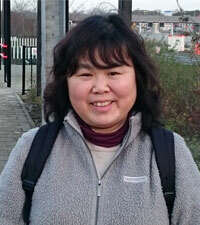 She has worked within primary schools for the past 6 years both as a teacher and a supervisor of social work students. 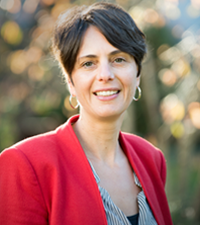 She is currently undertaking a range of school based research projects including: the evaluation of cognitive based programs within primary schools, exploring the use of social work services within the Australian school setting and the experiences of International students undertaking Australian based tertiary studies. Her PhD established her as an expert in this field with a focus on educational standards in the delivery of social work courses. Over the years, this interest and focus has expanded to include the use of social work in educational settings. This focus has allowed Louise to develop expertise in her two key passions: youth and education. Kirsty joined the Department of Occupational Therapy as a Lecturer in September 2014. She gained her BSc (Hons) Occupational Therapy degree from Oxford Brookes University, UK in 1994 and completed a Masters degree from the University of Manchester in 2001. Kirsty has worked as an occupational therapist for several years within adult mental health both in a forensic mental health and a community mental health care setting before joining the University of Salford in 2002 as a Lecturer on the BSc (Hons) Occupational Therapy and MSc Advanced Occupational Therapy programmes. Kirsty currently teaches on the MOTPrac program and her role includes being a Fieldwork Co-ordinator and assisting with the participatory community placements unit. Anne Powell is the current Director of Medical Student Programs at the Central Clinical School, based at Alfred Health. She is the past Director of Physician Education at Alfred Health and is a Rheumatologist and General Physician, both at the Alfred and in private practice. 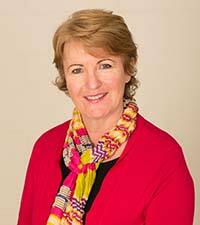 Anne is on the National Examining Panel for the Royal Australian College of Physicians (RACP). She completed a Masters of Clinical Education with a focus on clinical reasoning skills and types of errors made by junior doctors. She has an interest in the formal evaluation of the medical undergraduate course delivered within the Central Clinical School. Linda is a Senior Lecturer and Head of Undergraduate Programs in the Department of Community Emergency Health and Paramedic Practice. Linda practiced as an Advanced Life Support Paramedic with Ambulance Victoria for 15 years, before taking up a full time academic position in 2012. Linda’s philosophy on teaching is to provide relevant and thought provoking content through engaging and innovative mediums, in order to inspire students to fully participate in their own individual learning journeys. Her dedication to quality program delivery, student learning and education research lead to the School of Primary Health Care Teaching Excellence Award 2014 and the 2015 Mary Lawson Prize for best presentation at the 6th International Clinical Skills Conference Prato, Italy. Linda pursues research projects that can effect change in student learning, attitudes, behaviour and ultimately patient care. Her specific interests include interpersonal communication, service learning, clinical placements and care of older adults. She is currently a PhD candidate investigating the preparedness of paramedics to meet the psychosocial needs of older patients. Margaret is the Deputy Director at Monash Rural Health, Monash University, Gippsland, Australia, teaching first year graduate-entry medical students a social perspective on health. She also coordinates the Community Based Practice Program, which aims to equip students with an interprofessional understanding of the social and community aspects of health through a community placement. Margaret’s PhD used poetic representation to tell the stories of Gippsland women evacuated as children in WWII Britain who immigrated to Australia in the post-war period. Margaret’s qualitative research interests focus on narrative analysis, poetic representation, gender issues, stories of illness, ageing and notions of home and migration and pedagogies of practice in medical education. Margaret has also taught qualitative social research methods, gender, sexuality and identity and other sociological concepts in addition to which, she has been a Language and Learning Skills adviser. Matthew is a new addition to Monash University in 2017. Matthew has spent the last 10 years working in emergency health care, first working as an emergency department Registered Nurse before making the jump to Paramedicine. Matthew started his Paramedic career working for Ambulance Victoria in the metropolitan region and Loddon Mallee. Most recently, he has worked the last 4 years for The ACT Ambulance Service. Having recently completed a two semester secondment in 2016 to Australian Catholic University in Canberra, Matthew decided to make a full time move to teaching and academia. In addition to his secondment with ACU, he has worked as a sessional staff member for ACU and QUT in both the Paramedicine and Nursing programs. Matthew is currently due to complete his Master of Emergency Health with Monash University in 2017. He is currently completing a project looking at the epidemiology of paediatric hypoglycaemia in the pre-hospital environment. Caroline has worked in the profession of radiation therapy for 23 years in clinical, research and academic roles. Caroline started her academic career as Senior Lecturer at Sheffield Hallam University (UK) in 2000 and in 2003 joined Monash University as the Course Convenor for the Master of Radiation Therapy. Caroline is also Specialisation Lead for the Bachelor of Radiation Science and the Master of Advanced Radiation Therapy Practice. She has convened numerous workshops throughout Australia and the United Kingdom on clinical education, professional practice, evidence based practice, research and advanced practice. She has been actively involved in developing online and work-based learning programs to support entry to practice and post graduate practice students. 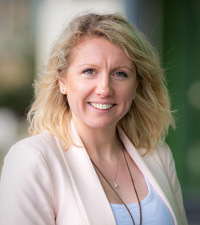 Caroline’s research interests include fitness to practise, professionalism, student selection, simulated and online learning, assessment and the educational development of staff working in advanced practice roles. Caroline has been awarded the FMNHS Dean’s prize for teaching excellence. 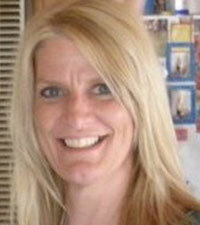 Suzanna has 20 years experience in group facilitation and training. Suz has expertise and experience in leadership development, community engagement, facilitation, strategic planning and training. In particular, developing context specific training and workshops for people who work together to develop a common understanding and skill set for working with conflict and challenges. With a background in Outdoor Education, she has experience of living and working in close communities with a focus on sustainability and education. Through leadership and management roles she has been a driver of whole of organisation development including cultural change and strategic planning. Jo Colvin is the Alcohol and Other Drug (AOD) Nurse Practitioner in the Emergency Department at Latrobe Regional Hospital (LRH). She has successfully completed a Master of Nurse Practitioner, Master of Nursing, Post Graduate Diploma in Mental Health & Diploma in Alcohol and Other Drugs. With over 29 years ing, aged psychiatry, palliative care, consultation liaison psychiatry, AOD nursing and mental health and police response unit (MH&PR) Jo’s current role better supports the identification, management and treatment of people who are intoxicated or drug affected in the LRH emergency department as well as capacity building clinical staff to manage all AOD presentations and providing clinical supervision. The role also includes liaising and collaborating with external agencies to offer the best support & follow up for patients presenting to a busy emergency department.nursing experience in a variety of settings including inpatient & community mental health, general nurse. 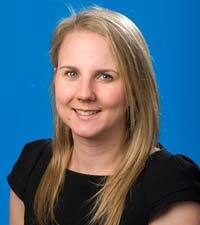 Sarah graduated with a Bachelor of Nutrition and Dietetics in 2007 from Deakin University. She has worked in variety of dietetic and health promotion roles in community health on the Mornington Peninsula and inner eastern suburbs of Melbourne. In 2012 she worked as a community nutrition development officer for AusAID in the Kingdom of Tonga advising on local food initiatives and policies. In 2013 she returned to study to complete her Bachelor of Nutrition (Honours) at Monash University and in 2014 commenced her PhD research. Her research is currently focused on the implementation of health and wellbeing and nutrition initiatives in Victorian secondary schools. 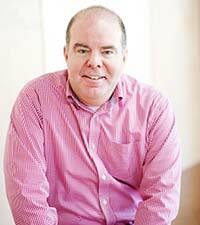 Keith has extensive experience as a clinician, manager and bureaucrat in the mental health field. 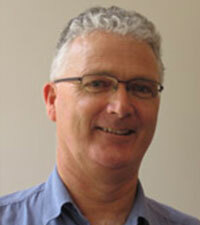 A registered psychiatric nurse, he has worked in the UK, Queensland, Melbourne and Gippsland. Keith assists and supports the mental health program with a range of training, service development, and evaluation/research projects; he also co-ordinates the Gippsland Mental Health Vacation School. Dr Travis Taggert completed his Bachelor Medicine / Bachelor Surgery at Monash University and is currently working as a Doctor at the Mildura Base Hospital, pursuing his interests in Emergency Medicine and Intensive Care. Additionally, he is also a Custodial Medical Officer with Victoria Police, providing care to those persons in Victoria Police Custody. 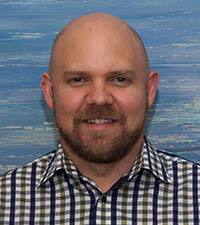 He has been appointed as a Lecturer at the School of Rural Health Mildura, involved in the direct delivery of the medical curriculum to medical students in their clinical years. 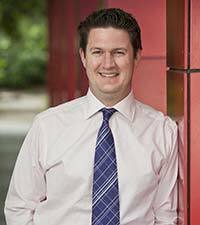 Dr Taggert is a founding partner and Director of Clinical Services of Victorian Medical Assistance Team and is an Associate Fellow of the Australian Institute of Management. Dr Susan Waller is Senior Lecturer in Interprofessional Education at the Monash University Department of Rural Health (MUDRH) Susan is responsible for interprofessional collaboration leadership through coordination of the development, delivery and evaluation of interprofessional education and practice programs across the School of Rural Health and Gippsland health services. 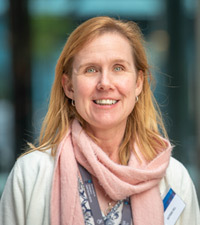 As a paediatric physiotherapist who has practiced for many years in various allied health services across the hospital and community sectors both in Australia and in the Middle East, Susan has experienced firsthand the importance of interprofessional education and collaborative practice to meet service user goals. Susan studied the impact of an interprofessional student placement in community rehabilitation teams and was awarded a PhD in Interprofessional Education from the University of Queensland in 2010. She was part of a team who developed an Interprofessional Curriculum in the first Clinical School located in a large private hospital in Brisbane and has conducted training workshops in practicing interprofessionally. 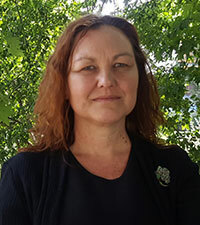 Dr Bernadette Ward is a Senior Research Fellow with the School of Rural Health at Bendigo. . Bernadette has extensive experience in quantitative and qualitative research in relation to health systems, alcohol and other drugs. She is currently working on several methamphetamine research projects. Bernadette's interest in rural and remote health stems from many years of primary health practice as a midwife and registered nurse in remote Australia. Paul has specialist expertise in conducting qualitative studies and undertaking literature reviews (systematic) in health professional education research. Paul completed his PhD at Durham University, UK in 2015, with a thesis entitled: Medical student learning during longitudinal clinical placements in under-served, deprived, community areas; a qualitative study. 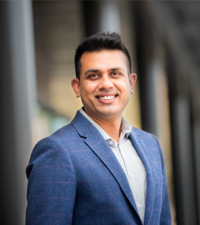 Over the past 8 years he has worked on research projects to investigate: the prevalence, antecedents and interventions to tackle workplace bullying in the UK healthcare service, the role of professionalism, MBBS curriculum outcomes, Specialty doctors’ views of their training, and selection for medical graduates into the Foundation Programme. 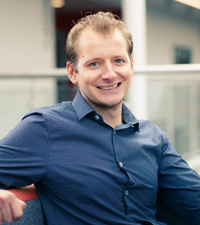 Paul has an educational background in Psychology; he studied Psychology with Sports Science BSc (Hons) and Occupational Psychology MSc at Northumbria University. Paul initially joined the Northern Deanery Research Team in October 2008, the team later transferred to Durham University in April 2010, and subsequently to Newcastle University in 2015. 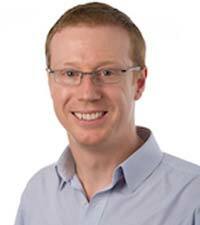 Prior to moving to Monash, Paul was a Research Associate working on two grants funded by the UK Department of Health. The first project was investigating the Education Outcomes Framework, involving a realist synthesis to explore underlying processes linking education and training to patient outcomes. The second project was investigating the effectiveness of the system introduced by the Health and Care Professions Council (HCPC) which assures the continuing fitness to practise of its registrants, predominantly through Continuing Professional Development (CPD). 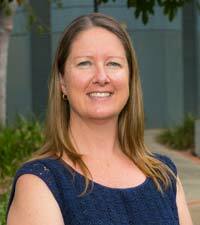 Margaret Bearman is an Associate Professor within the Centre for Research in Assessment and Digital Learning (CRADLE), Deakin University. She holds a first class honours degree in computer science and a PhD in medical education. Over the course of her career in health professional and higher education, Margaret written over 70 publications and received over $7.5 million in research and development funding. She has been formally recognised for her work as an educator and researcher, including awards from the Australian Office of Learning and Teaching and Simulation Australasia. 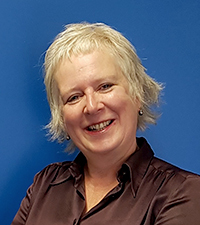 Margaret’s interests include: assessment and feedback; simulation and digital technologies; sociomateriality; and educational workforce development. 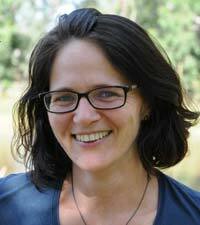 Her methodological expertise includes qualitative and quantitative research designs, as well as evidence synthesis. Margaret was previously an Associate Professor with HealthPEER (Health Professional Educations and Educational Research ) at Monash University and supervises a number of MCSHE students. Beverley holds a PhD from Monash University; a Master of Public Health from the School of Public Health, Columbia University, New York; and Master of Science in Nursing (Adult Nurse Practitioner), from the College of Physicians and Surgeons, Columbia University, New York. Her doctorate focussed on the development of a model for criterion based assessment of the clinical safety of SP IMGs in Australia. She has considerable experience as an active researcher, grant writer, grant co-recipient and a past Kellogg Fellow. Her research interests include a focus on criterion-based assessment of patient safety and its relationship to clinical competence and performance, and post- graduate health professional education. Jan’s research has concentrated on the impacts of childhood sexual abuse on Australian women’s health and the education of health practitioners in the area of family violence. She has a national and international research profile in these areas. Her research students range from summer scholars to PhD students. Charlotte graduated with a Bachelor of Physiotherapy (Honours) degree from Monash University in 2008 and went onto complete her PhD in health professions education at MCSHE in 2018. Her PhD research explored academic, clinician and patient perspectives of healthcare communication. Charlotte is a Lecturer of work integrated learning at the University of Melbourne, Department of Medical Education, and an Educator Advisor at The College of Intensive Care Medicine of Australia and New Zealand. In her adjunct role at MCSHE Charlotte is involved in the clinical supervision for human services frontline workforce project. Her other research interests include workplace learning, healthcare communication and exploring the patient’s voice in health professions education. 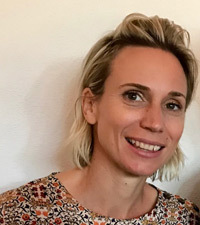 Olivia is currently working as an Allied Health Research and Translation Lead at Barwon Health and South West Healthcare (conjoint appointment with Dr Rosalie Boyce) and holds an Adjunct Research Associate role with the MCSHE. She is a qualified podiatrist and diabetes educator with extensive clinical experience, predominantly in the community health setting. She graduated from Latrobe University in 2006 with a Bachelor of Podiatry (Honours) and subsequently completed her Graduate Certificate in Diabetes education at Deakin University. She completed her PhD (Health) at Southern Cross University in 2018, exploring the professional role boundaries in the interdisciplinary field of diabetes education. She has recently been working on a research study exploring workplace supervisor and student experiences of workplace dignity during work-integrated learning. 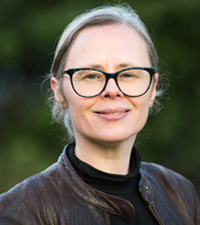 She has primarily undertaken qualitative research and her main research interests include health professions education and the sociology of the healthcare professions. Sarah graduated with a Bachelor of Science (Honours) degree in Psychology and Abuse Studies in 2012, she then went on to complete her Master of Research in Psychology in 2013. Sarah worked as a Psychological Wellbeing Practitioner in the UK for eighteen months and completed a Post-Graduate Certificate in Psychological Therapies in 2014 before moving to Australia in April 2015. Sarah went on to work at both MUDRH in Gippsland and the Burnet Institute as a research assistant, focussing on rural mental health and illicit drug use projects. 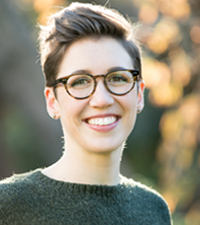 Sarah joined MCSHE in 2018 her research focused on enhancing the supervision of students and peers in the Department of Health and Human Services (DHHS) workforce. 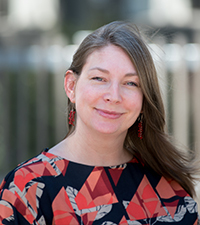 In her adjunct role at MCSHE Sarah continues to be involved in the DHHS clinical supervision project and also leads the Monash Realist Special Interest Group. 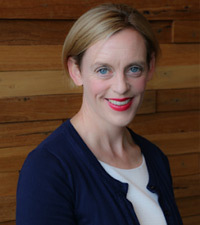 Elizabeth Molloy is Professor of Work Integrated Learning in the Department of Medical Education, School of Medicine, at The University of Melbourne. She is Deputy Head of Department, and Academic Director of interprofessional education and practice in the Faculty of Medicine, Dentistry and Health Sciences. 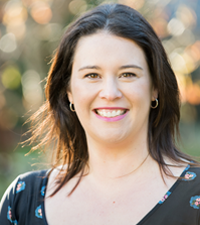 Elizabeth completed her BPhysio (Hons) and PhD (health professions education) at the University of Melbourne, and alongside clinical practice, worked at Monash University for 11 years. In her role at the University of Melbourne, Elizabeth teaches into the MD program, the EXCITE postgraduate courses in health professions education, and works with a number of postgraduate medical colleges to help improve feedback and clinical supervision. Elizabeth’s areas of research include feedback, assessment, workplace learning and interprofessional education, and she has over 100 peer reviewed publications. She is a Fellow of the Australian and New Zealand Association for Health Professions Education (ANZAHPE) and is co-chair of the Melbourne Academic Centre for Health (MACH) Education and Workforce Planning Network. Elizabeth supervises PhD students at Monash University as part of her adjunct role with MCSHE. She is passionate about quality healthcare and teamwork, and education to support these processes.